Gender equality is about enabling all people to access the same opportunities and choices throughout our lives, regardless of our gender. Sometimes we need to target programmes and policies specifically at the group that is the most marginalised within a community, in order to get a fair result for all. This is the difference between equity and equality. But targeting particular groups is not the same as excluding others. In order to empower the people who are most on the margins, it is logical that we involve those who are less marginalised, relatively speaking. There are different degrees of marginalisation. Older women and older men experience challenges in common due to their age, but older women are also likely to have been marginalised throughout their lives due to their gender, and this compounds in older age, resulting in higher risk of poverty, ill health and isolation. This is why specific programmes are needed to empower older women, but it is crucial that in delivering these we do not exclude older men, who may be affected by some of the same issues. 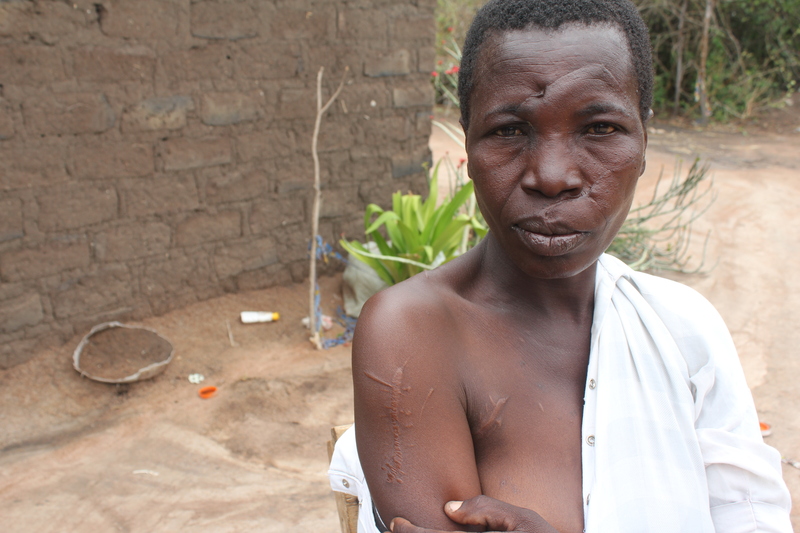 When her parents died, Mageni was accused of witchcraft and attacked in her house. In Magu, in the Sukuma land region, Tanzania, older women are particularly vulnerable to being accused of witchcraft, and to the resulting abuse. The accusations are likely to be due to their low status in the community and their poverty, particularly when they have been widowed. Older men are sometimes targeted too, but figures show that it is older women who are most likely to be accused, abused and potentially murdered. 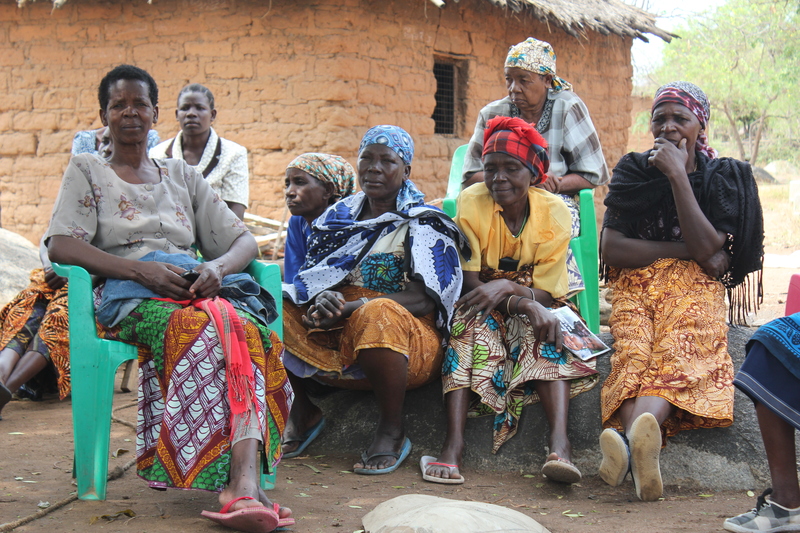 Age International’s programme in Tanzania provides paralegal training to older women to increase their knowledge of their rights under local and national law, and to know the process for reporting witchcraft accusations. ‘When my husband died I didn’t have a voice. Now I’m in better shape, I have started my own business, and others have too.’ – Older woman during group discussion, in Magu. It also includes sensitisation to the issue of witchcraft-related attacks for the whole community, and advocacy with public figures including local government, police, magistrates, and other local leaders – many of whom are men. Finally, it has an income generation element, enabling the older women to support themselves and to prevent them from becoming isolated. A group of older women sit and listen in a training class. In a recent TEDtalk about why gender equality is good for men too, the academic Michael Kimmel said that ‘privilege does not see privilege’. This is very true. Although older men in low and middle income countries are, on the whole, by no means privileged, they have advantages compared to older women – but these advantages may not be obvious to them. This is why, in Magu, it is important that the paralegals’ male counterparts in the community understand why it is that the women are being offered training, rather than them. The positive impact of the programme is evident in the way that the older women and men relate, as much as it is in the reduction of the attacks. The local partner tells me that in the past, the women were shouted down when they stood up to give their perspective in a meeting. Now the men sit and listen attentively to them, awaiting their own turn to speak. Jokes are exchanged between older women and men, and they sometimes sit together. ‘The men used to interrupt the women, and now they don’t. 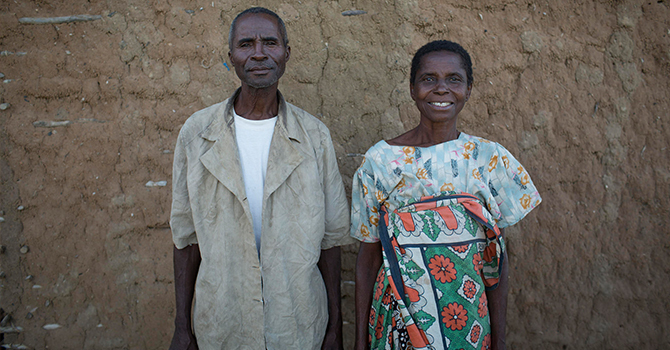 They see that the women can speak up too.’ Joseph Mandago, from our local partner MAPERECE. The men can see the benefit of the programme for themselves as they are learning from the women about who they should go to if they are accused of witchcraft. But perhaps they can also see the benefits of the older women, whom they live alongside, being able to protect themselves and to generate their own income. This generation of the Sukuma have lived their whole lives in a patriarchal system and in thrall to deeply held beliefs of witchcraft. The hope is that the increased unity of the older women and men of Magu, their joint aim to protect one another, and their awareness of each other as full human beings, will serve to root out these horrific acts of violence. So far, evidence from the programme shows that this aim is indeed becoming a reality.